Fracking by a Canadian subsidiary of Malaysian oil and gas giant Petronas triggered one of the world's largest earthquakes linked to the controversial practice, Canadian media said Wednesday. The British Columbia Oil and Gas Commission said it has linked the operations of Progress Energy in the province's northeast to a 4.4-magnitude quake felt in Fort St John in August 2014, the CBC reported. The commission told the broadcaster that the quake was "triggered by fluid injection during hydraulic fracturing" by the company. It was preceded by a 3.9-magnitude quake in July the same year, also believed to have been caused by fracking. The energy regulator and the company were not immediately available for comment. Fracking or hydraulic fracturing is a process used to extract shale gas by blasting a high-pressure mixture of water, sand and chemicals deep underground to release hydrocarbons trapped between layers of rock. Environmentalists argue that the process may contaminate ground water and even cause small earthquakes. The technology is widely used in the United States, helping to keep down energy costs there. But it is banned in some countries in Europe. After the 2014 quake, Progress Energy was ordered to reduce the amount of fluid it was using in the process, and has complied, said CBC. Another Progress Energy site, however, was reportedly shuttered last week while authorities try to determine if it was behind another quake just a few kilometers (miles) away. Parent company Petronas, meanwhile, is pushing ahead with plans to build a giant liquefied natural gas terminal on Canada's west coast to ship gas fracked from the region overseas. "Fracking by a Canadian subsidiary of Malaysian oil and gas giant Petronas triggered one of the world's largest earthquakes linked to the controversial practice"
Well that's absolutely brilliant. 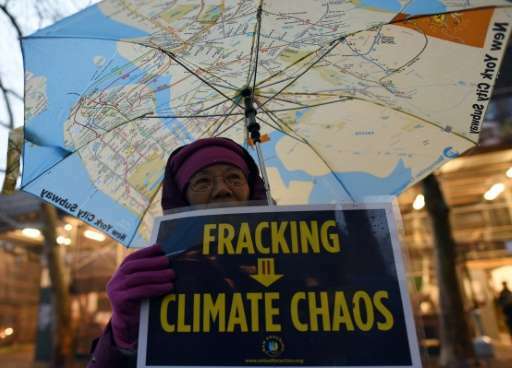 Fracking caused the biggest quake caused by fracking. In other news, smoking caused 100% of the cancer that was caused by smoking, and gun violence is the #1 killer of people killed by gun violence. Proud of that Skippy? Maybe you should read him again and see if you missed a word or three before you pick on his English. You make the same mistake when you was whining about the word maths.